In Russia, you have to have an exclamation point sticker on your car the first three years after you get your driver's license. I think that's a good idea. "This is what I've been dreaming about all school year long. Poolside with a good book." because everywhere we went with them was great. And no, they're not announcing anything... we just gave them that Matryoshka doll from Russia. Click HERE to learn about those nesting dolls. They're pretty neat. When we were in London we happened upon a free mini-concert by Tom Jones!! (I can remember watching him on TV years ago (on Saturday nights, I think). I was having Facetime (like Skype) with Midori W. in Scotland. Midori is from Japan and she's studying at the University of Glasgow. to help her in writing her dissertation on "The Identity of Musicians." She interviewed me for about an hour (because I was too so talkative). We talked about how I've seen myself as a musician through the years. Shoot, I like to play music. And I even get tips for it. I'm playing in the tea room tomorrow. 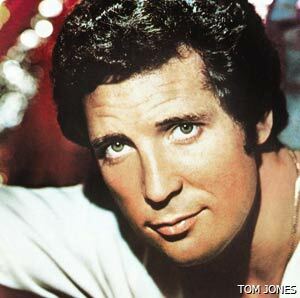 I think I'll play "It's Not Unusual" .... as a tribute to Tom Jones!! It was lots of fun spending time with you guys yesterday.. Hope to see you both again soon. I'm thinking Ryan wrote that comment. And yes, yesterday was so fun with you. Now you can get back to studying!! You're definitely a musician Momma. A professional at that! Glad you're not discounting yourself anymore. Hope to hang by your pool again soon! I discovered I'm married to a Russian!